our physical brain and the universe at large. the sense of separation between the DNA/brain connection on the "inner"
is transcended in Effective Sensory Perception ways. to geometrize cultural DNA for social conscience in our social networks. It is the divine destiny of Earth to heal the imbalances in all dimensions from dense to light. It is the divine destiny of Earth's evolutions to go through this healing process. a global rEVOLUTION in higher dimensional conscience. the greater will be one's evolutionary dimensional ascent in harmony with divine order. Higher consciousness will be attained by those who "get it" (dimensionally). There is a very simple/graphical explanation (video) on how to conceptualize ten dimensions. This is one of the best 10 dimensional presentations I've seen. Put simply, the first three dimension define 3-D space while the 4th dimension is time. The 5th Dimension corresponds to one's processes of consciousness regarding individual choices. The 6th-10th Dimension represents that same process regarding our collective choices. is in synchronous resonance with that same higher conscience in all of us. measurement for ten dimensions of consciousness that represent all humanity. to the big picture of our divine destiny in the image of divine order. 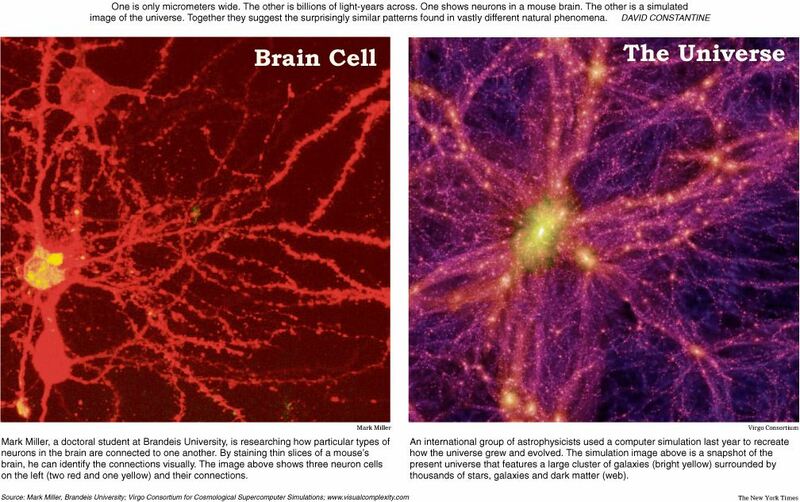 the science of synchronicity between terrestrial and celestial changes through 2012.
that is represented in the graphics above re: the actual structure of neurons and galaxies. This holographic field of "as above, so below" is virtually the kingdom of heaven within us. It's how the DNA in one part of the body has the blueprint for the whole body. It's how iridology provides an iris map into the health of the whole body. It's how reflexology (foot zones) provide a map that reflexes with the whole body. This connection with the order of the universe naturally compels a sense of responsibility. 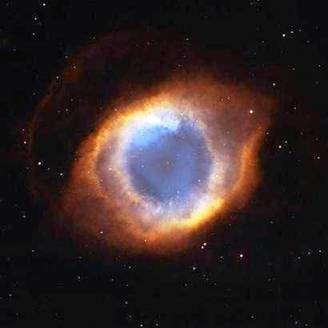 To the extent one knows better, the prime directive of free will is good will - to do better. This is how one becomes more conscious of HOW they are conscious - with pure intention. That is how we focus attention on higher dimensions for our evolutionary ascension. in the holographic field of consciousness. Not only between our ears, but also. the collective Morphegenic fields of consciousness in our "Net realty". a process of self-governing self-correction for individual and collective self-elevation of a salvation nature. apply the 10 dimensional explanation linked above to corresponding processes within your brain. and the lower "reptilian brain" (R-complex) of a more reactive fight-or-flight nature. and the more non-linear intuitive processes in the right hemisphere of the brain. The third dimension corresponds to the relationship between the forebrain with "foresight intelligence"
and the rear-brain where hindsight drives into the future with eyes glued to the rear-view mirror. The fourth dimension puts this 3-D "space-frame" into context from moment-to-moment - REAL time. to the structured thought habits that filter conscious processes. representing as much meaning, purpose and virtue "value" as the first two dimensions convey. is these three dimensions that correspond to the holographic brain/universe connection. 3-D heartware for psyche-feedback framing in REAL time 4D interaction moment-to-moment. The 5th dimension (individually) is thus linked to the higher dimensions (collectively) through this process. which becomes a self-fulfilling prophecy to the extent that we each and all "make it so". This is one of the great paradoxes of emerging higher conscience on the 2012 timeline to "O-Point". paralysis of lock-step linear letter of the law systems of an obsolete status quo. whose love of power long ago eclipsed the power of love in their behavior. it's important to take the high ground with comprehensive solutions to the core problem. is the purpose of the Worldwide Foundation.